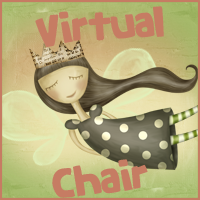 Bookittyblog YA Book Reviews: Dreamscape by Christie Rich Blog Tour and Giveaway! 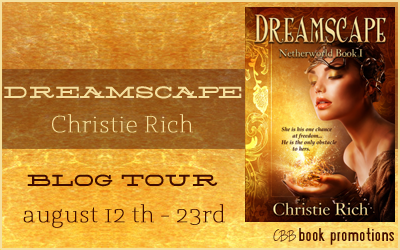 Dreamscape by Christie Rich Blog Tour and Giveaway! Every night before Amelia falls asleep she makes a wish to dream of him – the man who calls her to their beautiful private oasis, her sanctuary where she is free of her greedy landlord’s threats. But tonight, he will not call Amelia to him. Tonight, another man will step into her world to claim her. Tonight, Amelia’s shattering reality will crumble - and disappear into the Dreamscape…along with her freedom. When Amelia dreams tonight, her nightmare becomes her new world where Seth is her captor and anything is possible…except escape. 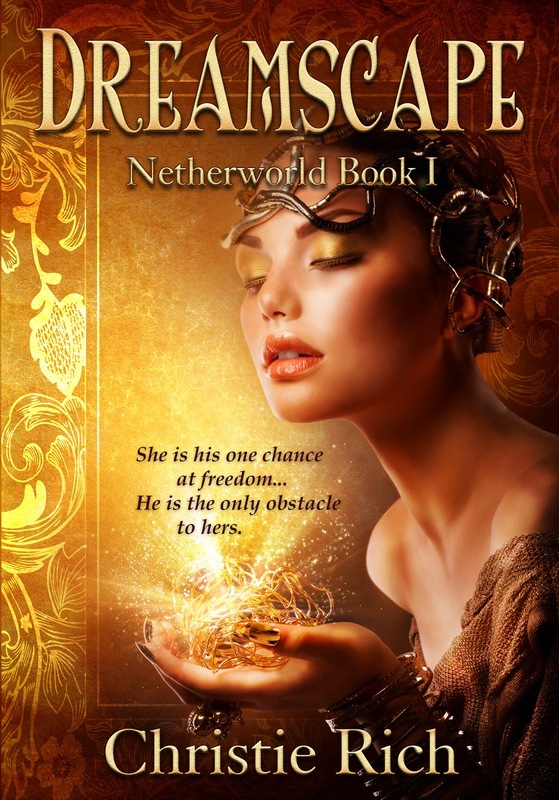 Seth needs Amelia to break the curse that binds him to the Dreamscape. He must convince her that she was made to free him, that she was made to join him. For if he fails, he will never escape his prison, and he will lose Earth to the Netherworld where the evil Erobos wait to consume the human realm and everything in it. If he fails, Seth will lose the one thing that matters to him: Amelia. Hello!!! 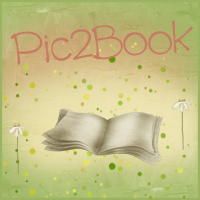 I am so excited to be here today on Bookitty Blog. Thank you so much for hosting me today, Bethzaida! It was hard for me to decide what topic to write about for this post because I loved all your ideas. I decided to talk about characters because, for me, characters are different than I thought they would be before I became a writer. I used to think writers were amazing because they made up all this great stuff that somehow became amazing stories. Now that I write, I know better. I can’t speak for other authors, but I don’t make up characters. They come to me, fully formed. Sometimes, I get to decide what they look like, but I never get to decide who they are. The truth is characters flit into my mind all the time. It’s like once I opened the gate to let one in, it stayed open. Some of them move on their way before a connection settles, while others stick and stay with me. Seth from my newest release, Dreamscape, Netherworld Book I, is such a character. He came to me at a really bad time, when I was trying to finish the last book in my Elemental Enmity Series. He’s such a strong character that he took over my mind, for a time, and I had to listen to him. The first thing he showed me was a dark room where a girl was huddled in the corner. It shocked me to realize he had captured her and there was no way she was going to get away from him. The other thing that floored me was he loved her deeply, but she didn’t act like she knew him at all. He described the setting to me and the story flowed. I wrote scene after scene where these two characters revealed a strange, new world to me. If you’re thinking I’m a little loopy, I don’t blame you. If I hadn’t experienced this myself, I probably would be thinking the same thing. I’m what people in the writing business call a “pantser”, meaning I write by the seat of my pants. I still don’t exactly get why that term stuck, but the idea is that you either plot out a book before you start writing, or you start writing and see where it goes. Since I took the plunge into the writing world, I’ve tried both plotting and pantsing, and I am definitely not a plotter. Every time I’m sure I know how a story is going to turn out, my ideas pretty much blow up in my face. What’s left is the real story. The way it should be. I don’t pretend to know where stories come from, but I’m aware enough to understand it is not from me. I’m just a conduit that characters approach to see if I’m the right one to tell their story. What I know about Seth now is a heck of a lot more than I did when I met him, but it isn’t nearly enough to know what will happen with him and Amelia. I have a vague idea of what I want to happen, but it isn’t my story. It’s his, his decisions and his life, lol. Now I know I sound this side shy of bonkers, but it’s true, for me, at least. Other writers have a different experience, which is amazing. It’s great to know there are endless ways to accomplish the same thing. I’m so astounded when I’m guided to information I need. I’ve come across some strange things that ended up being exactly what I needed to know to progress a story. Characters are amazing, and I love meeting each of them. Even the villains enthrall me, maybe even more than regular characters some times. True villains are complex and who knows what they would have been if they had made one different choice before they turned dark. Although I haven’t tried writing from the point of view of a villain, I get to know them plenty well through the writing process, but I haven’t discounted writing a scene from the villain’s point of view. We’ll see. It’s difficult to be in the head of someone that messed up. It’s also amazing to be there as the story unfolds. In essence I’m the first reader of my stories, which is an exciting place to be. For a few months the story belongs to me. It’s up to me to make sure it comes out right, and every day I pray I can do the characters justice. So what is your favorite thing about characters? Do you have a favorite character? Why are they your favorite? I grew up daydreaming about fairytales, and my love for discovering new worlds has never died. I am not one of those writers who always knew I would write. I thought that was what other people did until one day, a few years ago, I took a challenge from a friend and typed my first words. My journey has been wonderful, and I cannot imagine a day where I would ever give up writing. My love for reading is what fueled my imagination in the first place and still does. When I am not writing or reading, I enjoy family time with my husband and two children. My family and I live in a quiet community in Northern Utah, and I am so thankful for the rich life I have been blessed with. 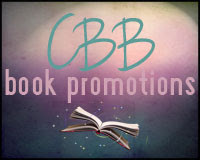 This tour is hosted by CBB Book Promotions. Don't forget to visit the other stops in the tour. Thanks for entering, paula! Good luck! Thanks for hosting me today, Bethzaida!!! Of course!!! I love villains! I love reading from their perspective. It makes them more human to me. Great post Christie. I truly enjoyed reading it. It was a pleasure having you here! looks and sounds awesome! Congrats to Christie on the new release! Love the cover and the synopsis sounds great. Thanks for the chance to win the beautiful necklace and Congrats to Christie on her release! Anyway, thanks so much for hosting a tour stop today! 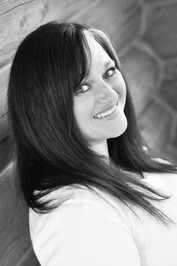 It's so amazing to be an author, Candace and that's so fun to learn about you! Second, does it annoy you when a character wouldn't stop talking in your head? You know, takes over your life? On another hand, I think it's awesome when a character practically writes themselves, no? Thanks for sharing. I love reading about an author's writing processes. I will definitely check this book out! It sounds like something I would really enjoy. Speak Low Cover Reveal and Giveaway!